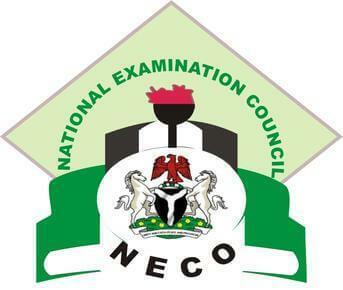 NECO Economics Obj And Essay/Theory Solution Questions and Answer – JUNE/JULY 2018 Expo Runz. i)Availability of Natural Resources: The volume production depends on the quantity and quality of the natural resources available in a country. If a country has large Deposits of natural resources like fertile soil, perennial rivers, extensive forests, long sea coasts, rich minerals etc, volume of production will be high. The larger the availability of resources, the larger will be the volume. ii)Availability of capital: Capital is an important factor in determining the volume of production. Capital includes both fixed capital and variable capital like machinery, buildings. raw materials, electricity etc. The capital depends on the level of savings and investment and banking facilities. iii)Technology: Technology is another determinant of the volume of production. If the people possess technical knowledge, education and training, they can produce diverse goods. They can make inventions and adopt latest technology for producing goods and services. Besides, they also increase the quantity and quality of goods. Hence the nature of technology influences the volume of manufacturing or production. iv)Factors of production: Another determinant of Volume of manufacturing or production is the factors of production. Factors of production comprise labor, capital and organization. The quantity and quality will influence the volume of production. If these are plenty, then production of goods on large scale is possible. Mobility of Labor:- This can be define as the ease with which labout can move from one geographical area to another, or from one occupation to another. labour is said to be movable when workers will find it easy to move from one geographical area to another or to change jobs. i)Cost and length of training:- Some professions are costly to train in terms of time and money, e.g the medical profession. ii)Ability or aptitude:- Some jobs require natural ability or talents and those that are not gifted cannot fit into such jobs e.g. musician. iii)Wage rate:- Labour will move if there is a wide margin in salaries but if it is low, labour may not move. iv)Condition of service:- Apart from Salary, the conditions of service in a working place e.g. bonuses, overtime, staff bus, will encourage labour not to move. v)Political Instability / Religion:- Where there is political instability or religion, it will be very difficult for labour to move. A tax is a mandatory financial charge or some other type of levy imposed upon a taxpayer (an individual or other legal entity) by a governmental organization in order to fund various public expenditures. I)They reduce savings:- When tax is removed from one’s income, savings may become very difficult. ii)They discourage investment:- High tax on individual and corporate bodies discourage potential investor from investment. iii)They prone to evasions:- Direct taxes are usually prone to evasion by many income earners. iv)They reduce purchasing power:- When tax is imposed on the income of a workers, the balance may be small thereby reducing the purchasing power of such income earner. I)Transactionary motive:- People desire to keep or hold money for day to dag transactions or current expenditure. Household needs to hold money in order to cater for the interval between the receipt of income and their expenditure. i)Lack of skilled manpower:- The manpower development in developing countries is unusually very low. This affect economic development. ii)Low level of technology:- Majority of the development nations have low level of technology, which impedes economic development. iii)Leadership problems:- Majority of the leaders in developing countries do not direct well the human and natural resources of such countries and this leads to low economic development. iv)High level of illiteracy:- Majority of the people in developing countries are illiterates, i.e. they cannot read and write. This eventually leads to low economic development. Verified NECO 2018 June/July Economics OBJ and Essay Answer and Solution to the questions.